Red Couch Recipes: Key Lime Pie Ice Cream..."It's Ice Cream Week!! "I Scream, You Scream, We All Scream for Ice Cream!" 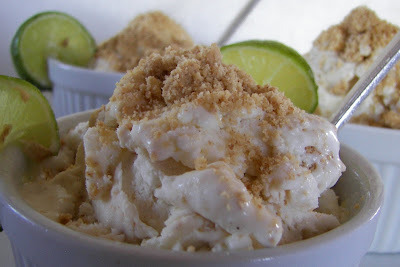 This week at Red Couch Recipes it's "Ice Cream Week! " I will be posting ice cream recipes in recognition of July's designation, by President Reagan in 1984, as National Ice Cream month. I love making my family home made ice cream. I especially like that I can make recipes with lower fat or sugar content. Today's recipe has been a big hit with my family and everyone that we have served it to. I adapted this recipe from a Cooking Light recipe I found on the website My Recipes. Combine first 5 ingredients, stirring with a whisk. Pour mixture into freezer can of an ice-cream freezer, and freeze according to manufacturer's instructions. 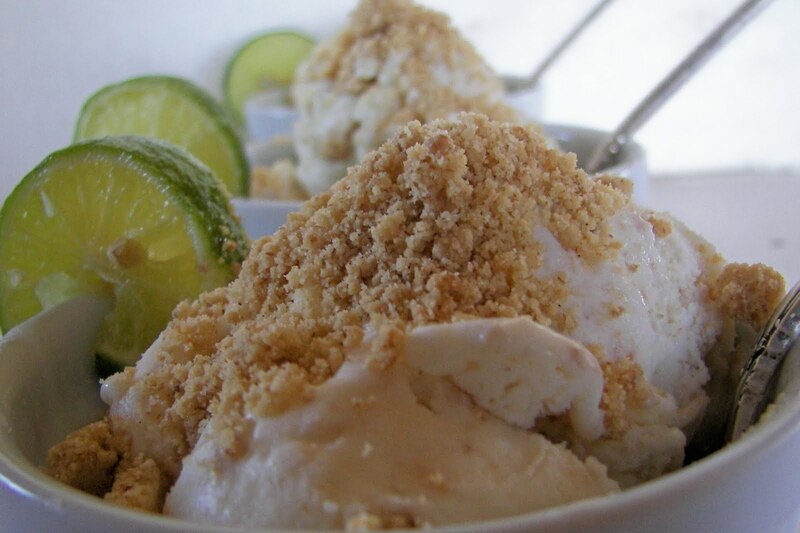 Stir graham cracker crumbs from pie crust into ice cream, reserving some crumbs to garnish ice cream. Spoon ice cream into a freezer-safe container, and cover and freeze for 1-2 hours or until firm. Sprinkle each serving with graham crackers. Garnish with lime wedges, if desired. Notes: If you like a fuller fat ice cream you could make this with 2 percent milk, as the original recipe calls for. We like it with the 1 percent milk. To save time, you could also use Key Lime juice in a bottle, such as Nellie and Joe's, as the original recipe calls for; we like the flavor of the freshly squeezed Key Limes. I also am posting this with Kitchen Bouquet's Ice Cream Social. Oh...you know how I like lime, and now key limes and ice cream! Can I move in next-door? This looks so amazingly refreshing and yummy! Thanks Joni...I'll be back for more ice-cream! Nummy and I even have key limes in the fridge. We made rootbeer ice cream yesterday that I am going to post. Can't get enough of it during the summer. Your pics are gorgeous - love the three bowls lined up with the limes in them. We have YC this week but then I think I might be able to make it over for blogging school. Yum. This makes me hungry. Joni, You are such a talented cook! This sounds great and the photo is awesome too. Hope all is well with you and that the kids are enjoying their summer vacation. I've got to get myself an icecream maker- looks divine!